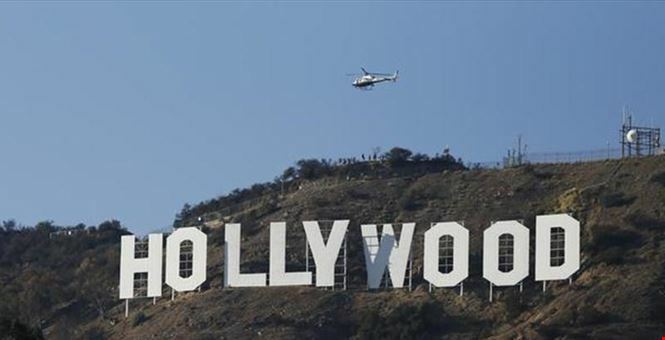 Hollywood, in its glitz and glamor, has positioned itself as a beacon of liberal free expression. It is from this freedom of expression that many culturally significant films have come to shape the archetypes and tropes within cinemas and televisions on either side of the Atlantic. But within the studio lots, there still exist a pervasive culture of harassment that aims to actively protect creators, while chastising survivors. The rise of Hollywood as a cultural powerhouse can be traced back to the advent of film itself, but a particularly important period are from the 1950s to the 1970s. With the height of the studio system controlling most film production beginning in the 1950s, Hollywood executives and directors had a monopoly of power, specifically over the control of film production and the selection of actors and actresses. Looking through the annals of history and the biographies of these men and women, through innuendo, one can see that the underlying cultural current of Hollywood has always been one in which sexual favors were currency. Now, it is important to note that such history should not be used to discredit survivors of Harvey Weinstein’s actions, or the actions of any predatory film executive. Rather, this history is important to contextualize and critique the aura “educated” liberalization, of which Hollywood sees itself as the flagbearer. This identity, however, is not new to Hollywood, but rather has been a label that this cultural center has been proud to give itself. Yet, whether or not this label is appropriate is currently up for debate. Hollywood is plagued with hypocrisy throughout much of its organization, but mainly through the actions of individuals most important to its existence. For example, many male actors have come out in support of the dozens of women who have accused Weinstein of either sexual assault or harassment, but these men do so through the thought process of “these women could be my daughter, or mother, or girlfriend”. Although support is appreciated by survivors, it is important that we support these women because they have individual personhood and are inherently deserving of respect; not because of empathetic familial ties. Further, it is paramount to critique how Hollywood, and how American Liberals in general, are willing to pick and choose issues to throw support behind. Weinstein is not the first content creator to be accused of inappropriate sexual conduct. While it is incredibly important that Weinstein has been discredited and removed from many prestigious film institutions both in the states and in Europe, there are plenty of instances of Hollywood ignorance in the face of sexual abuse scandal. Most notably, in 2010 Casey Affleck was accused of sexual misconduct resulting in two lawsuits, yet Affleck was still allowed to attend and even be awarded at the 2017 Oscars. While it is important that Weinstein is made an example of, Hollywood still has work to do in supporting survivors and criminalizing predators. In an era rocked by social and political violence, it is important that as consumers of media, we actively critique the institutions from which content is created. Institutions that seemingly support our political agendas may only be pandering to a consistency for economic gain. Hollywood is an example of this. Weinstein should be made an example of how accusations of sexual misconduct should be handled, with the utmost respect for survivors. Yet, it important that all accusations, both from those who are famous and those who are not, are handled in such a manner. For our actions speak much louder than our preferred ideological self-actualizations.